In a country consumed by an infectious, destructive anger, this book is most timely. We need to all let the words of Grandfather Gandhi sink into our hearts and let the anger power constructive changes that will improve life for everyone. Opening: The story opens with a letter from Bapu to Arun. Then the action begins: We arrived at Sevagram, Grandfather’s service village, dusty and dirty. Father insisted we be taken straight to Grandfather’s hut. 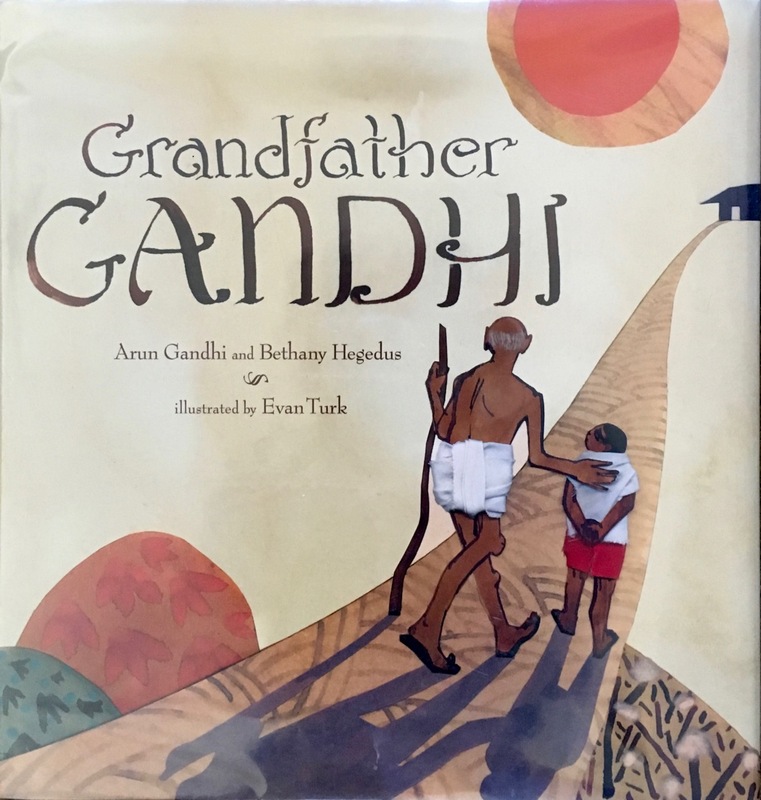 Brief synopsis (from barnesandnoble.com) Mahatma Gandhi’s grandson tells the story of how his grandfather taught him to turn darkness into light in this uniquely personal and vibrantly illustrated tale that carries a message of peace. How could he—a Gandhi—be so easy to anger? One thick, hot day, Arun Gandhi travels with his family to Grandfather Gandhi’s village. Silence fills the air—but peace feels far away for young Arun. When an older boy pushes him on the soccer field, his anger fills him in a way that surely a true Gandhi could never imagine. Can Arun ever live up to the Mahatma? Will he ever make his grandfather proud? Research: Find examples of people who have turned their anger into positive action. I was analyzing this book for a class and felt it needed to be shared. This book is such a beautiful book from the perspective of Ghandi’s grandchildren. It is so kid-friendly and with some wonderful Ghandi advice. I couldn’t agree more. We need it.